As the grandson of famous NYC project executive Jack Schuster, who worked with the Zeckendorfs and was known for his efficiency and imposing presence, Josh Schuster has a high bar to strive for. 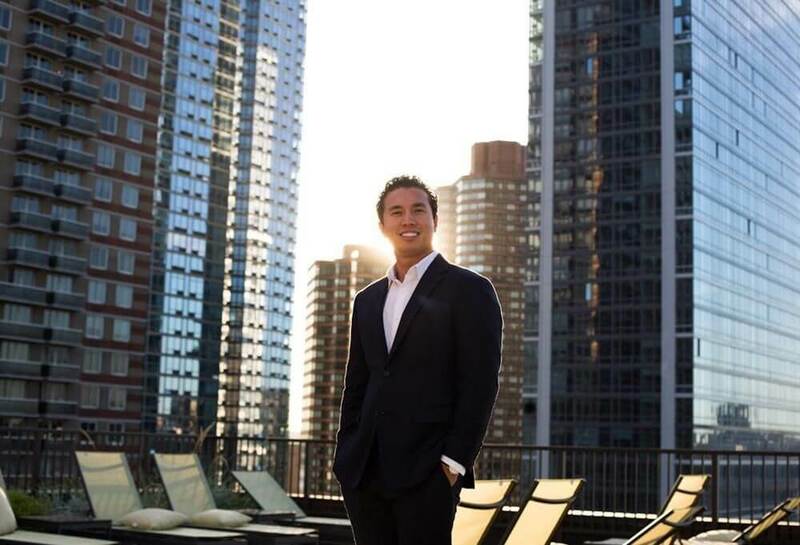 While he’s created a track record in his own right, leading the development of several Manhattan luxury residential properties—50 Clinton St, 535 West 43rd St, 12 East 13th St and 75 Kenmore St—totaling more $500M in value, Josh has taken the next step by forming his own firm: Silverback Development. Earlier this month, the vertically integrated firm, which Josh heads, launched after receiving a $50M investment. We sat down with Josh to find out why he thinks Silverback will be special and how his grandfather has influenced his time in the industry. Bisnow: You told the Wall Street Journal you worked at some of your grandfather’s construction sites. Can you describe how he’s influenced you as both as a professional and as a person? Josh Schuster: There are a couple of takeaways that I continue to apply. First, he was always driving the schedule, one of the most important things in real estate. Second, he taught me how to read floor plans at a young age. That’s a skillset that you don’t learn in school, and now I’m very comfortable navigating floorplans and designing appropriate units. Lastly, I think he had a solid relationship with the guys in the field who can get a project built for you. If those guys respect and like you, they’re going to pick their staff to fit your schedule. It’s too bad that he passed away before I even graduated college, because he would have been an excellent mentor. Bisnow: Can you detail who the investors were in Silverback? What did you do to convince them that you and Silverback were worth investing in? Josh: The investor would like to remain nameless. They’re an equity allocator and prefer to be behind the scenes. As for ‘why Silverback?’ I think people can appreciate my eye for real estate and our ability to dig up off-market deals. We reverse-engineer the capital stack and create structures where we can acquire sites, which is difficult, considering how expensive land is. In our pipeline, we have several JVs, ground leases and covered land plays, where we’ll actually get paid to hold land. So we have the prudence and risk-mitigation that any investor can appreciate. Bisnow: Silverback started in NYC, but is already expanding into other cities. Can you tell us some of the cities you’re working in? Josh: We’re focusing on chasing yields outside metropolitan areas, moving into secondary markets and building multifamily to relatively high yields. For example, we have several projects in transit-oriented markets outside of Washington, DC, within 25 to 30 minutes of the city. We have a property in Stamford, CT, that’s about a 38-minute train ride to Grand Central. We’re looking at areas in Jersey City and in Ft. Lauderdale. It’s certainly easier to break into these secondary markets, but it takes more time to learn them. When you leave New York, everything looks inexpensive, but you can’t jump on every property because it looks cheaper than NYC. You have to delve into the details, the demographics, the employment statistics and supply of competitive products. We’re building and selling a product so we need to know it’s not going to stagnate on the market. Bisnow: A big part of Silverback’s strategy is that you research market fundamentals and area demographics to tell which neighborhoods are about to boom. Can you give us some examples of what demographics and fundamentals you look at? Josh: We’re looking at and plan to construct a large project in Maryland because it has the fastest job growth of any state. It also has Ft. Meade, which has 60,000 employees and is the NSA center for cybersecurity. If you look at that and realize there’s a lack of housing supply for price-conscious consumers and that cyber-security’s only going to grow, you know it’s going to continue to need housing. Bisnow: What do you look at when considering ground-up and adaptive reuse projects to see if they’re worth investing in? Josh: I think the majority of our pipeline is ground-up development because we’ve been able to identify projects that are not in a specific, high-use location. We look at at each situation differently and see what needs to go in place of a dilapidated building or empty lot. We’re also looking at a couple of office buildings, with the long-term goal of revamping those assets. If it’s just ground-up, we’re being creative within in the capital stack and being architecturally distinct from our competition. That’s something we’re going to pride ourselves on going forward. We just don’t want to throw up buildings, we want to leave something behind that we’re proud of. Bisnow: How do you find new opportunities for these ground-up and adaptive reuse developments? Josh: It goes back to looking at market trends and looking where the market’s heading. That’s a question we ask ourselves when we sit down and look at the potential deals in the pipeline or areas of the city. For example, there are a ton of opportunities on the 103rd Street stop on the 6 line, with a ton of potential development sites flying under the radar. The UES and UWS are both growing north, so it’s a place that you can definitely build to a decent yield as far as rentals are concerned. The same applies to Hamilton Heights near Columbia and the hospital. Bisnow: At 75 Kenmore St, you worked with Lenny Kravitz. What was that like? Josh: The world will be very impressed by Lenny and the talented folks at Kravitz Design’s work. It’s also been a pleasure to work with them and with Andre Krakowski, the executive architect on the project.